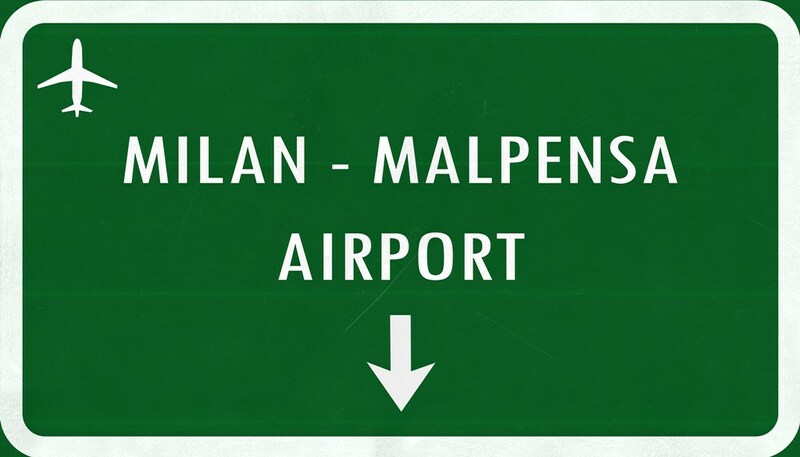 Milan-Malpensa airport is located 49 km northwest of central Milan. It is the largest international airport in the area, serving 15 million inhabitants of northern Italy. In 2017 Malpensa counted more than 22 million passengers. 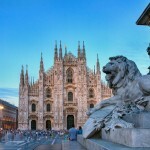 Besides Malpensa, the city of Milan is also served by Milan Linate Airport. Although it is a lot smaller than Malpensa, it is ranked as the fifth busiest airport in Italy. Travelling to and from the airport is easy and there are a few options to choose from. Airport bus – Milan Malpensa Airport is connected to the centre of Milan (Milan Centrale) by direct shuttle buses operated by Autostradale bus company. 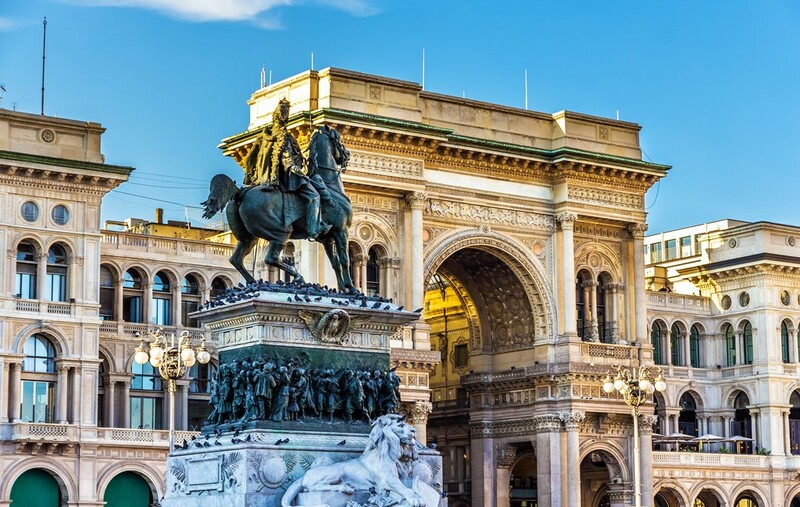 It usually takes 50-60 minutes from Malpensa Airport to Milan Centrale (train station) by shuttle bus. Tickets can be bought either on board or online. The bus has the same route on going from the city center to the airport. NOTE: To reach Terminal 2 of the airport (used by EasyJet) take the free shuttle bus at Terminal 1. This service operates 24/7, with buses leaving every 7 minutes during the day and every 30 minutes during the night. Journey takes approximately 10-15 minutes. Train – the Malpensa Express service has two different lines connecting the airport with the city center. The first one reaches Milan Cadorna station (transit time 29 minutes). The second one runs to Garibaldi (41 minutes) and Central station (52 minutes). Trains depart from the airport train station next to the Terminal 1, every 30 minutes. For both lines the cost of the ticket is 13 euros for one way and 20 euros for round-trip (valid for 30 days if bought online, otherwise just for the same day). Children under 14 years of age have 50% discount. Tickets can be purchased online, at the machines or at the counter. Transfer: If you wish to have more comfort, or you have a lot of suitcases, you can always book the door-to-door transfer to your accommodation in Milan or any other city you wish to reach. Car or Minibus transfers should be ordered online before your day of travelling, the transfer company will have a professional driver waiting for you in the arrivals area with a name sign, and don’t worry if your plane is late, the transfer company will monitor your flight arrival. If you travel with smaller kids, you can order child seat. Also vehicles for person with disabilities can be pre-ordered. Taxi services – Airport taxi stands are located at Arrivals Area – at exit gate 6 (T1) and at exit gate 4 (T2). The taxi fare from Malpensa Airport to any destination within Milan city center is fixed and it costs 95 euros. Renting a car at Malpensa airport – all the major car rental companies, like Sixt, Avis, Europcar, etc. have their offices at Malpensa airport, along with some local rent-a-car companies, here you can compare prices for rental cars from the Malpensa airport. All car rental agencies are located in the Arrivals hall at Terminal 1. Renting a bus at Malpensa airport – If you are a large group arriving to the airport, you might consider renting a bus prior to your arrival. Buses are offered by several bus rental companies in the area. From Milan to ski resorts – Unfortunately there are no direct connections between Malpensa airport and ski resorts, so if you are going on a skiing holiday you have to go to Milan Central station first to reach popular resorts like Chamonix, Grenoble, Zermatt, etc. Milan to Chamonix: Milan is approximately 240 km away from Chamonix Mont-Blanc in France. There are three options to travel from Milan to Chamonix: car, bus or train. The easiest and fastest way would be to rent a car at Malpensa airport and drive to Chamonix. Car rental agencies are located in the Arrivals hall at Terminal 1. For those who would travel by bus, there are two companies that provide connections between Milan Lampugnano station and Chamonix. 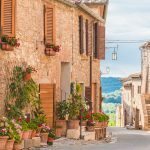 However, to reach Lampugnano station, a combination of train and 2 metro lines is needed, which can be a hassle if you travel with luggage and ski equipment. The train, on the other hand, requires two changes in Switzerland (in Brig and Martigny) and the overall journey from Milan Central station takes at least 5 hours (plus the waiting time in between trains). Milan to Grenoble: To reach this ski resort, the best way is to go from Malpensa airport to Milan Porta Garibaldi station and there take the train to Chambery (France) where you will change trains to Grenoble. The ride to Chambery with TGV train lasts approx. 4 hours, and from there you will reach Grenoble in an hour. This service is regular and trains leave on daily basis. Milan to Zermatt: Take the express train from Malpensa to reach Milan Central station where you can take the train to Brig (Switzerland). When you arrive there, take the small red mountain train to Zermatt. Entire journey lasts about 4 hours, with departures every 2-3 hours. It is good to know that the last connecting train from Milan Central station is at 19:25 (7:25 PM), and the first one from Zermatt leaves at 08:13 (8:13 AM). When arriving to Milan, the train will stop at Gallarte station (close to Malpensa). A: No, the last bus from the airport is at 00:30 and transfers and taxis run 24/7. 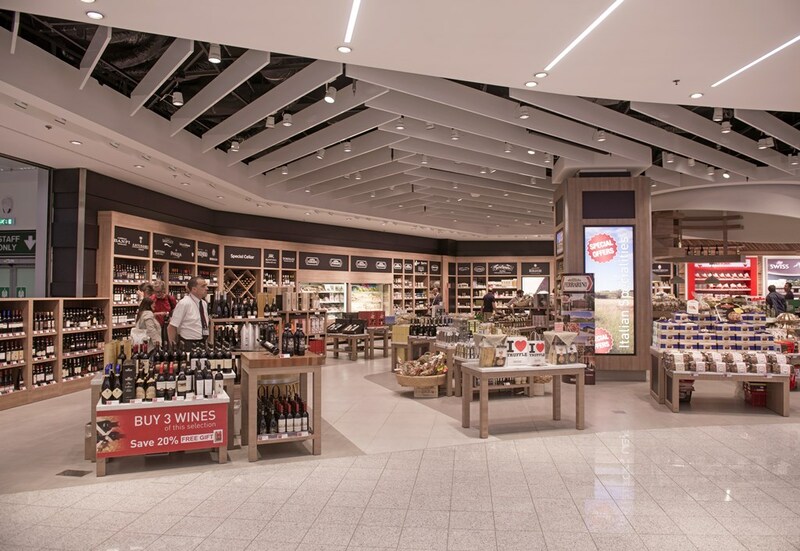 A: Yes, there are several hotels located around the airport, at short distance, offering quick connections to both terminals, but it is good to know that there is also one hotel located at the airport, inside Terminal 1 that offers accommodation at walking distance from the gates. Q: I would like to spend one day in Milan in between flights. Is that possible? A: Yes, of course. The best way would be to take the train at the airport to reach Milan Central station. There is also a luggage storage room (on the ground floor, next to the exit for Piazza Luigi di Savoia) open from 6 AM to midnight. The price for the first 5 hours is 5 euros, after that you will pay less than 1 euro per hour. Q: I need to reach Milan Linate airport. How do I do that? A: There is a direct bus line between the two airports. From Milan-Malpensa Terminal 1 and 2, you can reach Milan Linate Airport in about an hour and a half. The bus goes 5 times a day (every two hours, from 9:30 AM to 6:20 PM). The cost of the ticket is 13 euros. Q: I am continuing my journey outside Milan. Are there any direct bus lines from the airport to other cities? What time is the last bus from Milan to Malpensa airport each evening? 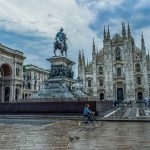 You can check here the bus schedule of shuttle bus from Milan Central Station to Milan Malpensa Airport. There is no direct bus to Your accommodation, but I suggest to contact the hotel directly via phone or email and ask them how to get there from the airport. We will be staying at Excel Milano 3 The City Reso Basiglio Milan can we get a shuttle from there to Malpensa Airport, and if so what would the cost be? i´m getting to Milan Malpensa on 18th october by 11,25 on terminal 1.
i want to get milan cadorna. 1) to get the shuttle bus need to go to terminal 2? 2) where exactly the shuttle bus stop at milan? To get to Milan Cadorna station you need to take Malpensa Express train from Malpensa Airport, the airport station is located at Terminal 2. Trains depart every half hour. can´t i go from terminal 2 (maplensa airport) to milan cadorna central station from Shuttle bus? Milan Cadorna station and Malpensa Airport are connected only by shuttle train. Sorry to bother you again, but here in your page you also have “airport bus” … it´s written: “… there are three shuttle bus companies that connect the airport and the city center….” – can i get Milan Cardona through them? Milan Cardona station can be reached by train shuttle only.